Summer fun and vacation is not yet over. At least… But for some, going back to school is already anticipated. Most colleges and universities have opened up their registration for newbies and returning students alike. And to amp their anticipation, some students are already buying their much needed school supplies in advance. 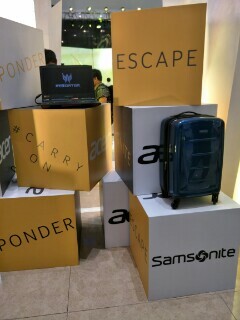 Concurrently, Acer Philippines, a leading tech and innovations company, has collaborated with American luggage and travel bag manufacturer Samsonite for its back-to-school promo. 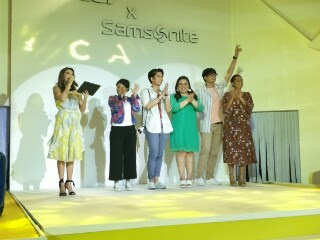 The launch event was held at the Mega Fashion Hall in SM Megamall. This year, Acer Philippines’ back-to-school campaign is especially made for millennials. Seeing the world’s biggest generation’s constant thirst for adventure and new experiences, the tech giant uses travelling as a motivation to inspire the youth to do well, whether in school or in their professions. Aptly called “#CarryOn”, the promo encourages the youth to power through the hurdles they encounter in pursuit of their dreams and goals. “If there’s one thing we’ve learned about millennials, it’s that they are very passionate individuals who are unstoppable if they are truly motivated,” shares Sue Ong-Lim, Acer Philippines’ Sales and Marketing Director. “Travel is, without a doubt, one of their strongest motivations. This is why we’ve partnered with Samsonite, a household name when it comes to travelling, to help us propel this cause forward. Hand in hand, we are hopeful that we will be able to not only motivate our millennials, but also reward them for their hard work by fueling their wanderlust", she added. Befitting a movement that advocates trying out different things and enjoying new experiences, Acer Philippines’ Back-to-School Promo was launched through a travel-inspired event, where guests and media practitioners filled out a passport by completing various activities. The affair also saw the debut of the #CarryOn video, which shows what the back-to-school campaign is all about. Directed by Ms. Irene Villamor, known for her works in Camp Sawi and Meet Me in St. Gallen, the film depicts how the youth turn to travelling as a way to cope and re-energize in the face of the stresses of their daily lives. 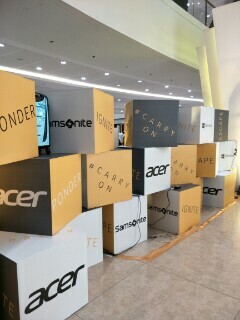 The full video may be seen in the Acer Facebook Page. The Acer Philippines #CarryOn Back-to-School Promo will run until June 30, 2018, during which every purchase of qualified Acer and Predator laptops, Acer projectors, and Acer desktop will come with free Samsonite luggage.